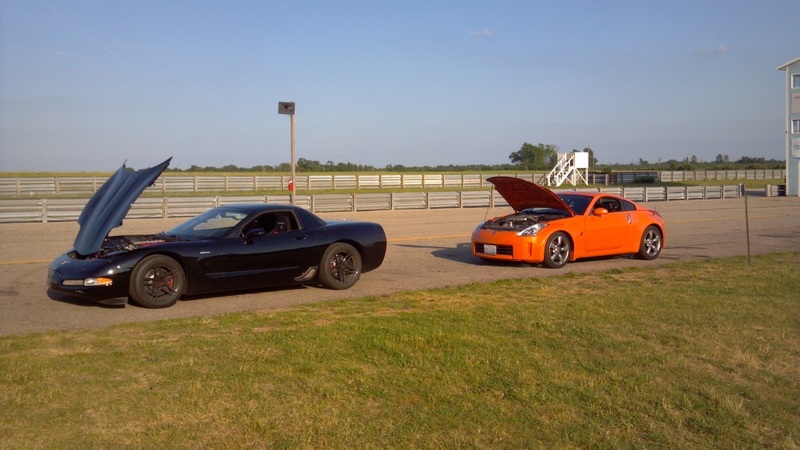 Just got back from a test and tune at Gingerman Raceway in South Haven Michigan. Its been about 10 years since I have been to the track and they have since revised the course layout with a new turn creating a faster straight. If you have followed my posts in the past, you would know that I have had issues finding pads that are a good balance for both street and an occasional track day. Anyhow, I went out this time with Stop Tech Street Performance pads and am quite happy with the results. Since my track car is still down, I took my daily driver 350z out on which I recently installed the Stoptech pads. I also bleed the brake system along with the clutch cylinder since the clutch fluid (which is brake fluid) had never been replace and is known to boil in 350z’s since the lines are so close to the exhaust. I used ATE’s Super Blue racing brake fluid since its sold locally and works well. 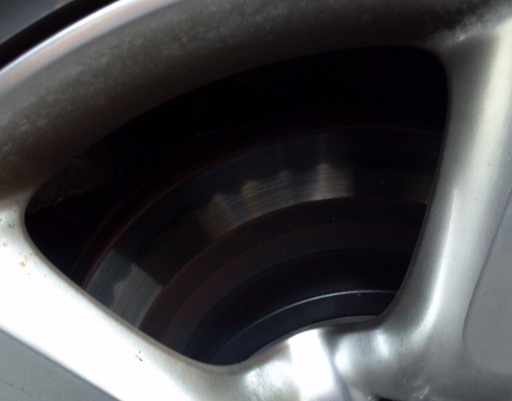 I also installed brand new rotors from Centric. I like how much initial cold bite the pads have. Compared to the ceramic pads I have run in the past which actually increase your stopping distance when cold, this is a huge improvement. I would say that they have more cold bite than the OE 350z pads which is pretty aggressive. They are slightly noisy after a few hundred miles. The down side to having this much cold bite is that the pads tend to vibrate/chatter when lightly braking. Luckily, the noise is rare and only happens when I am just barely on the brakes. For the most part they are silent. I found that after my track day, the pads have become completely silent, but I expect noise to return after the pad material builds up on the rotors from the light duty they see on the the street. A good flogging seems to knock down this build up. These pads produce quite a bit of dust. This unfortunately happens with semi-metallic compounds but its not as bad as a full race pad. Overall street impressions are very good. They have a lot of bite yet still modulate easily. A very safe pad to drive on the street. I don’t mind the dust since I really like the pads performance. These pads were very good at Gingerman. The track features two long straights with heavy brake zones after them. The pads held up well and I did not experience any fade. I did not push my car to 10/10ths in the brake zones because it is my daily driver, but I can tell you I did push them hard without fail. I believe my overall brake temperatures were lower than compared to a similar outing with my previous pads. I attribute this mostly to the removal of the terribly restrictive heat shields behind my rotors, but it may have had something to do with the pads as well. If you followed my earlier post on this topic, you would know that I only removed the front shields as the rears are much more difficult to remove. I now firmly believe that these shields must be removed from 350z’s and most likely 370z’s, as a bare minimum before any track duty can take place. 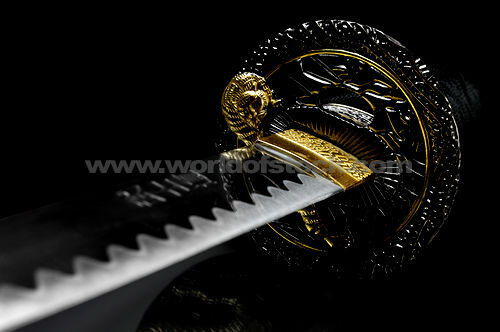 The rear rotors which still have the factory heat shields did exhibit signs of over heating seen as a blue samurai sword type pattern on the outer edge of the rotor. None of my rotors cracked from this event. The pads modulated well and applied smoothly throughout their temperature range, they were not at anytime grabby. This is better than the factory pads which seemingly produce more and more friction as they continue to heat making them hard to modulate. I am very happy with how this pad performed both on and off the track and would recommend them to anyone looking for a high performance pad. I believe this pad would work well for Solo-I and Solo-II style events or other HPDE for most street cars. They are also priced very well compared to some of the other options available. Did another track day at the Autobahn Country Club on these pads. The event lasted most of the day and included a lot of time on both the north and the south courses independently. It was again a very hot day at 96 degrees and dreadfully humid. I pushed my car a lot harder than at the Gingerman visit due to the confidence the pads were giving me. I found that after pushing these pads to about as hard as I could, I did get some fade. The fade came with a warning which allowed me to avoid any drama. I have the base brake package on my 350z (2 piston calipers with sliders. Good brakes, but I feel a little small for my 3400lbs car.) and felt very comfortable with these pads. I think if my car had the larger Brembo brake option, this pad would work even better due to the efficiency increase that caliper and rotor setup brings. The pads have remained completely silent and have been very easy on my rotors. I still feel this is a great duel purpose pad and would recommend it. 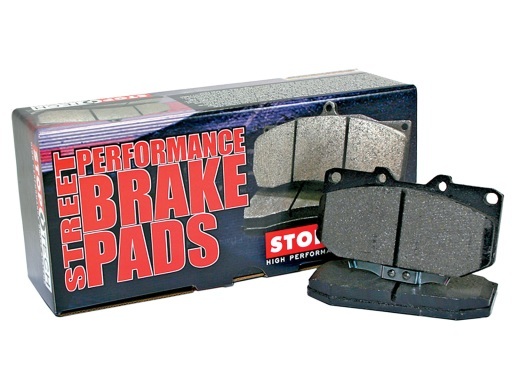 1 Comment to "Stoptech Street Performance Pads review"
I’ve been presently surprised with my Stoptech Street pads as well on my 05 STi. The initial bite is almost as good as stock and modulation is decent. They are less grabby then OEM making them better for daily driving. The dust is less than stock Brembo pads in my situation.